McAllen Commissioner Richard Cortez has called for a “special announcement” Tuesday morning, amid speculation that he will run for Hidalgo County Judge. The announcement will be held at the county commissioners court in Edinburg. Martha Hinojosa, a member of the Friends of Richard Cortez County Judge Exploratory Committee, said current County Judge Ramon Garcia told her he will not seek re-election, despite rumors that Garcia might. Garcia did not return a call seeking comment before press time. If Cortez does indeed announce his candidacy, he will have to resign his seat on the McAllen City Commission. A 20-person committee was formed on Sept. 1 — “Friends of Richard Cortez Hidalgo County Judge Exploratory Committee” — urging him to run for county judge. 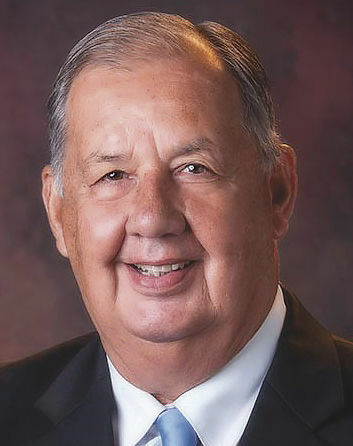 Cortez, 73, was mayor of McAllen for two terms and currently serves as city commissioner of District 1, which covers northeast McAllen. The primary for county judge is in March 2018. Former County Judge Eloy Pulido and small business owner and former educator Jane Cross are the only candidates to formally announce their candidacies. Pulido is running as a Democrat while Cross is running as a Republican. After considering a run for county judge, Pharr Mayor Ambrosio “Amos” Hernandez ruled out his candidacy earlier this month.